It’s 2018 and we all have a pretty good understanding of social media and how it works, right? But what if I told you 96% of the people that discuss brands online do not follow those brands’ owned profiles. Or that people 55-64 are more than twice as likely to engage with branded content than those 28 or younger. With the introduction of social media, we have a powerful tool at our fingertips that can share pieces of content all over the world in seconds. With this being said, social media marketing increases your brand’s awareness. Many small business owners struggle with implementing an effective social media marketing strategy that drives sales (which is what you’re going to learn in this blog). 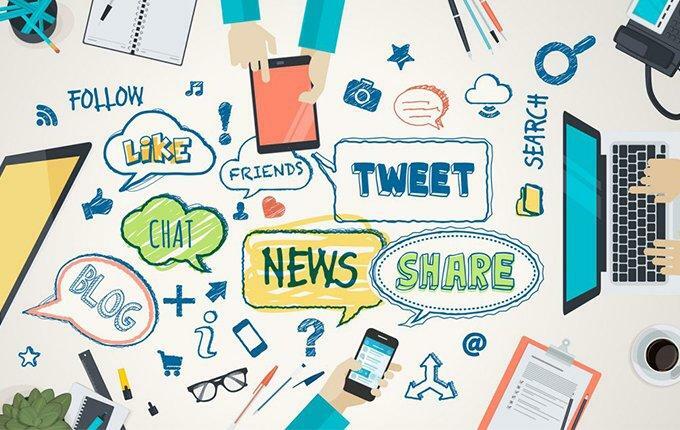 According to Social Media Examiner, 97% of small businesses use social media to attract new customers, but 85% of business owners aren’t sure what social media tools to use. Unsettling, is the statistic that 63% of consumers who search for businesses online are more likely to become consumers of brands with an established social media presence. This demonstrates a huge potential for social media marketing to increase sales but a lack of understanding on how to achieve those results. The consumers are there, itching to become brand ambassadors, but where is your business? Social media marketing helps to validate your brand and it’s no longer optional. It’s an essential way for companies to reach consumers, and when done correctly, tells those consumers that their brand is active and focused on communication. The longer you wait, the more you have to lose. When done effectively, social media marketing can lead to more customers, more traffic, and more engagement. Having a social media presence without an active social media marketing strategy can be just as catastrophic for your business as having no plan at all. Before we get into how to build an effective social media marketing strategy, here is a look at a few of the ways social media marketing can improve your business. For the ultimate list of benefits, continue reading about LYFE Marketing’s Top 75 benefits of social media marketing. Displaying your business’ personality through social media is one of the best ways to connect with your target audience. Your social media channels are just expanded opportunities for your brand’s voice, content, and interactions. A new customer may stumble upon your Instagram feed if they’re an avid Instagram user or a customer might be more likely to become a repeat purchaser if your online brand presence becomes more consistent and recognizable. Brands are placing a bigger emphasis on customer experience because of the impact it has on reputation. Brands who engage on social media channels receive higher loyalty from their customers. More than 50% of Americans who follow their favorite brands on social media are more loyal customers than those who don’t. Every post, ad, follower, blog post, and email is an opportunity for customers to convert. Whether you’re a B2C or B2B company, social media can be a very effective tool for gaining new leads and moving people through your sales funnel. Faceless corporations are a thing of the past. These days, consumers care not only about what they buy, but also the type of company they’re buying from. Social Media has a 100% higher lead to close rate than outbound marketing. With this advantage, you can practice rapid response to build a connection with a customer, rather than putting them through the automatic recording steps via telephone. Have you practiced social listening? Social media allows you to gain valuable insights about your customers’ interests and behaviors. Check out reviews or comments to see what people think of your business. Look at engagement rates on each social media post to measure what types of content generates the most interest. Track conversions through your purchase or lead ads to find out what type of audience benefits the best from your product or service. The best place for customer care lies on social media. Before brands got involved, it was created solely for communication, and that is still its core foundation. Customer interactions allow for the public opportunity to make complaints right. It’s also a place to enhance your relationship with them further by following them back, recommending additional products, and creating an open line of communication. Last but not least, the reason that is most likely to lead to ROI: increased inbound traffic. Without social media, your leads are limited to people who are familiar with your brand and people who find you by searching ranked keywords. By increasing your social media content frequency and expanding your social media channel presence, you are adding another path back to your site. And as a result, you’ll receive higher traffic, as well as more conversions. Social media is a long term approach, meaning, you won’t be reaping these benefits overnight. But if you can effectively see why social media marketing is important, then get ready to dive into why creating a social media marketing strategy only enhances these benefits. So, what does this even mean? A social media marketing strategy outlines your business’ goals and sets measurable objectives for the desired outcomes. Now, what are the benefits? To illustrate this, each example will be accompanied by a real life example from one of LYFE Marketing’s client’s in the Home Décor industry. 1. Increases Awareness and Branding. You can find our client’s presence on the top 4 most influential social media platforms. This gives the brand an opportunity to connect with various audiences and cross channel promote their content. 2. Increases Exposure to generate traffic, leads, and sales. Just by plugging in different demographics we’ve learned from performing customer research (no, that secret hasn’t been revealed yet, but read on), we can easily reach our desired audience to increase website traffic and new sales for our client! 3. Reduces marketing costs. Since October 2017, our client has spent a little over 7.5K and received 225K in sales! This is 217K in profit! If you still aren’t convinced, add Traditional Media is more costly than Social Media Advertising to your reading list. 4. Improves Online Search Ranking. If you search the words, “cheap drapes,” you can find our client on the first page of the Google search. Your audience rarely goes past the second page. It’s important to publish relevant content and have a link-worthy site to see your website rise to the top of search-engine results. 5. Develops Loyal Fans. Creating customer loyalty means developing long-term relationships with your fans. This relationship fosters the spread of social proof (read 5 star reviews) and repeat customers. 6. Grows Customer Base. Satisfied customers are one thing, but satisfied NEW customers are every business’ dream! Check out these product shots to see for yourself! Pro Tip: share these pictures on your social media channels to build social proof (see above) and customer appreciation! However, the MAJOR key to success in the importance of social media marketing strategies is to make sure your strategy is actionable. The best strategies involve understanding your customers, how to develop content to create meaningful conversations with them, and what platforms allow conversions to flow effortlessly. And creating an actionable social media marketing strategy is exactly what Part III is all about. Before a few years ago, you could get away with building a social media marketing strategy on a whim. But with 30% of people saying they engage with brands on social at least once a month, purely existing isn’t going to cut it anymore. If you’re not fully engaged and emerged in accomplishing the goals set in your strategy, there will be serious effects on your desired results. Learn what an effective social media marketing strategy should include, and follow our plan for creating your own. The first step is to establish the goals and objectives you want to achieve. A key component of setting effective goals is determining what metrics you’ll use to measure them. Are you looking for purchases or leads? Or likes and retweets or followers? You should use the acronym S.M.A.R.T when setting these goals. Each objective is Specific, Measurable, Attainable, Relevant, and Time-Bound. Are your networks complete (URL, Images, Bio, etc)? How does your social media presence compare to your competitors? What sites is your target market on? It should be clear which accounts need to be updated or deleted altogether. It’s better to maximize your presence on fewer channels than to be scarce on all channels. You want to be as specific as possible with this step. For example, if our Home Décor’s ideal target are homeowners, that is a little too broad. There will be more success if the target lives in the United States, is between 25 – 50 years of age, earns over 50K, primarily uses Facebook and Instagram, and has an interest in HGTV. Your social media mission statement clearly outlines what you plan to use your social media presence for. These statements revolve around your ideal customer and are typically one-sentence statements. These short declarations will not only guide your actions, but help to keep you on track should your efforts begin to fall short. To do this, determine the purpose of every social media profile you plan to include. If you can’t think of its specific purpose in relation to your business goals, you probably shouldn’t use it. Once you define your mission, think about how to communicate your brand’s voice, a potential brand tool kit, will videos be involved, etc. If it doesn’t align with your mission statement(s), then nix it! People will follow and purchase with you if it makes sense. When you first think of creating an online social presence, you probably want to jump immediately to this step. Instant gratification is always rewarding… right? What types of content will be published on social media? 1/3 of your social content shares tips, how-to’s, blogs, educational videos, company photos, etc. (Brand Content). Creating high quality, engaging content is a top priority. It’s helpful to create a content calendar outlining how often you will post, what networks those posts will go on, what time you will post, and the topics you will post about. Last but not least, the most important step when it comes to social media success. Trial and error will be your best friend when it comes to analyzing data and making tweaks. The most important thing to remember is your social media marketing strategy will always be changing. It’s never set in stone. As new products and updates emerge, you may want to adapt your strategy. As results roll in, you’ll learn more about your target audience and might want to change up your audience demographics. If you need to rewrite your social media strategy after a few testing periods, don’t worry, because you have all the steps right here! Use our 7 Step Checklist to inspire your new strategy! Checkmark #1: What are your brand’s social media goals? Increase Brand Awareness and Engagement – focus on creating content that compels a story, rather than promotional content. Your brand voice should be evident across your social media channels. Increase Followers – practice following relevant people who are related or could be potentially interested in your brand. Look at your competitors, key influencers, and relevant communities or magazines for inspiration. Higher Quality Leads or Sales – Through consistent trial and error, you will reach your core audience much faster. Higher Volume of In-Store Traffic- Make sure you’re sharing your promotions on social to reward your frequent and infrequent customers. Consistently alert your customers of your in-store offerings. Improve ROI – Perform frequent audits on your social channels to ensure budgets, visuals, copy, and promotions stay on track. Checkmark #2: What social platforms will you use to reach your audience? Checkmark #3: Who is your target audience? Checkmark #4: How will you measure your social media success? Increase engagement (likes, comments, shares, clicks). This directly correlates to how well your audience relates to your content. The amount of clicks on your content determines how your audience moves through your marketing funnels. Checkmark #5: Who are your competitors and what are their strengths and weaknesses? Checkmark #6: What type of content will be produced? Checkmark #7: What are the best time and dates to post for your target customer? Checkmark #8: How will you track and optimize your social media efforts? Social Media Marketing brings new rules and opportunities to increase the awareness, profitability, and overall lifeline of your brand. A further understanding of your consumers, how they communicate, the experiences they’re looking to have, and where they’re located digitally is crucial. Your social media strategy will affect the chances of winning new customers, retaining current customers, future business expansion opportunities, talented employees, and better products. But don’t take the short way out. If at first you don’t succeed, don’t give up. Stray away from being comfortable and what’s safe. Social media is a marathon, not a sprint. Achievement in almost any area of your life will be dependent upon other people. In this case, it’s your future customers and your current customers. Actively cultivating and curating your brand’s online presence is the investment required to achieve an effective social media marketing strategy. Our full services social media marketing company can help you give your all to your investment through our social media management and social media advertising services. We’d be happy to talk to you and see which avenue is best for your business.